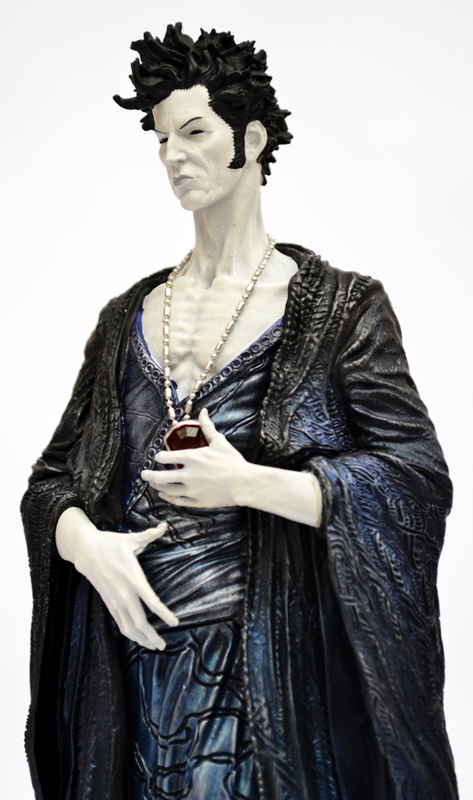 The Sandman Overture Statue | 'TAIN'T THE MEAT… IT'S THE HUMANITY! Neil Gaiman’s The Sandman was first published by DC Comics’ mature imprint Vertigo in 1989. The story of Morpheus, an immortal being who rules over the world of dreams, quickly became a smash with readers and helped cement Gaiman as an exciting new talent in the comics industry. The series concluded in 1996 after 75 issues and apart from a few one-off stories Gaiman has stayed away from his most famous creation. So imagine the delight of Sandman fans when, in October 2013, the author returned to the series for a six issue prequel — The Sandman Overture. The statue is beautiful. 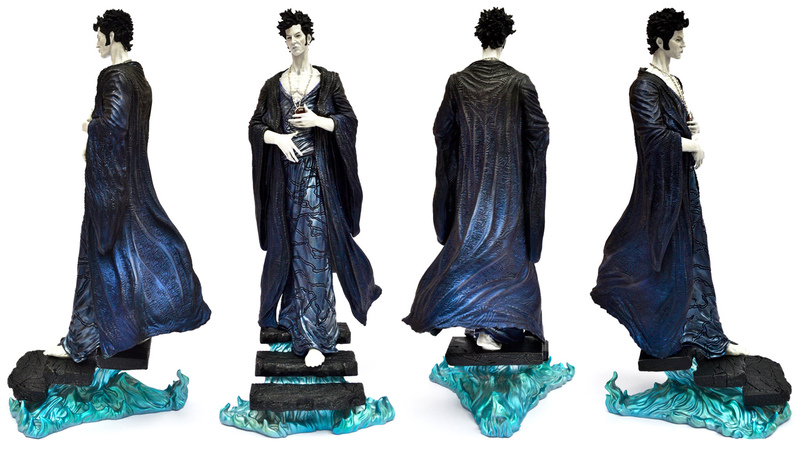 Cortes’s sculpting is detailed and delicate (I love the intricate pattern of Morpheus’ cloak), while the paint work is both accurate and wonderfully subtle. And the ruby and chain hanging around Morpheus’ neck are separate pieces, which is a nice touch. The statue ships in one piece in a box 14 inches high, comes wrapped in cellophane and is encased in two thick pieces of moulded polystyrene. The packaging is very secure and the statue is in little danger of being damaged in transit. 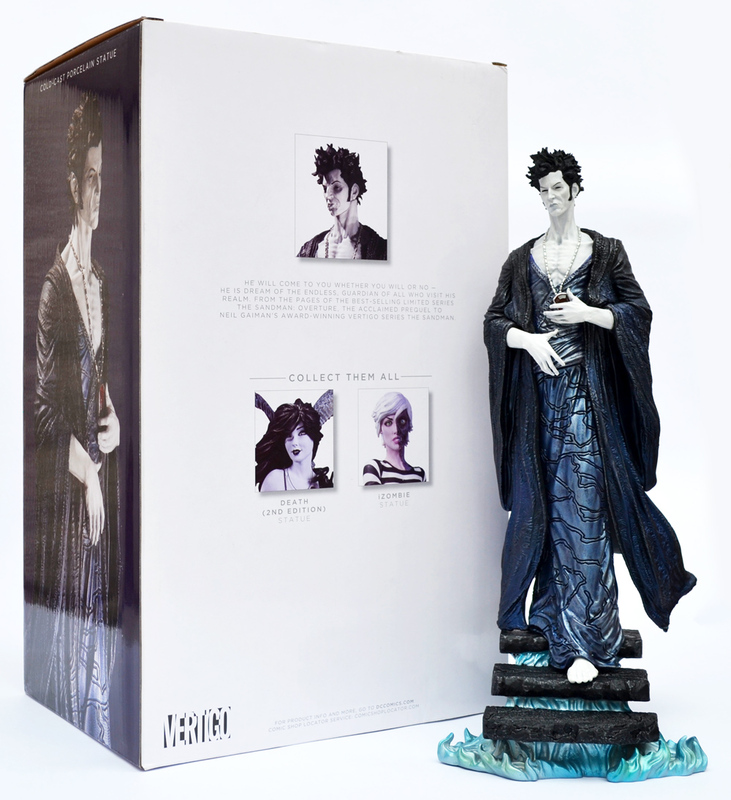 In addition to this standard edition, DC Collectables also released a Patina version limited to 100 pieces that shipped with a Certificate of Authenticity signed by Gaiman. I’ve seen the Patina statue and much prefer this standard edition — the Patina version just looks a bit gaudy for my tastes. 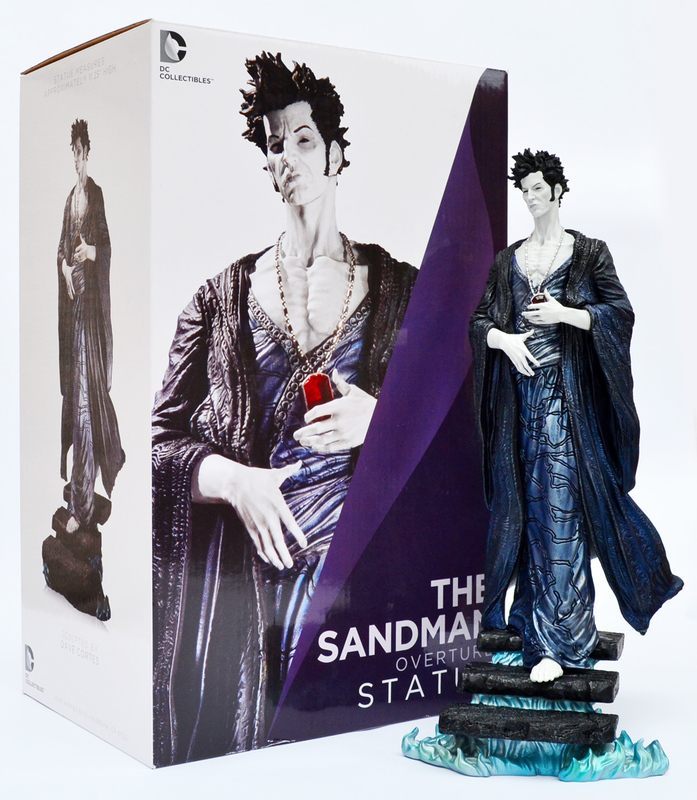 The Sandman Overture Statue originally retailed for $149 (£120) but is now selling for anything up to $250 (£200). However, shop around and you’ll find it cheaper — I found this one on Amazon for less that £70 ($85). It’s worth every penny too and is a welcome addition to my collection.